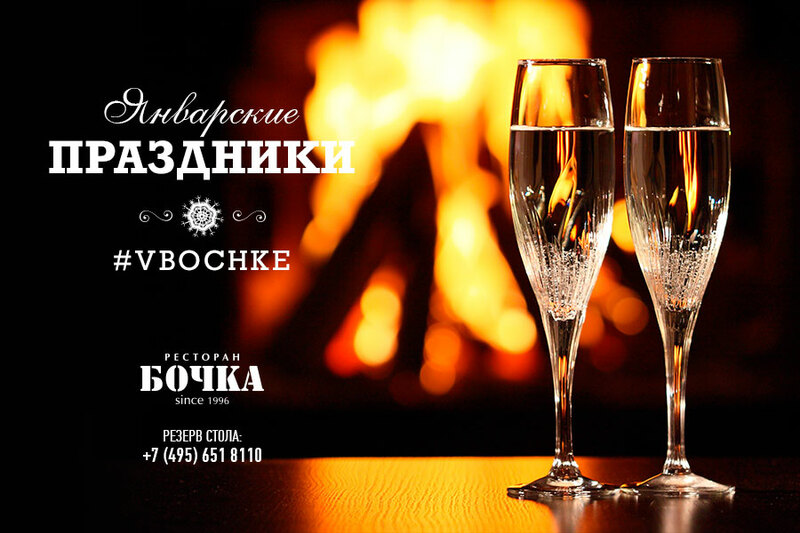 We invite you to spend January holidays in the atmosphere of a medieval castle near the wood-burning fireplace in the main meat restaurant Bochka. From January 1 to January 10 everyone who orders set-menu from the chef Igor Bednyakov will be pleasantly surprised to get a free glass of sparkling wine. And do not forget about our special offer “bottomless pit” – unlimited wine, vermouth and other alcoholic beverages. The offer price – 1950 rubles.